Ground Floor: double garage, large entrance with high ceiling, fully-fitted kitchen, pantry, large living and dining room with chimney and access to a lovely covered terrace, and an office which could be converted into another bedroom with bathroom. 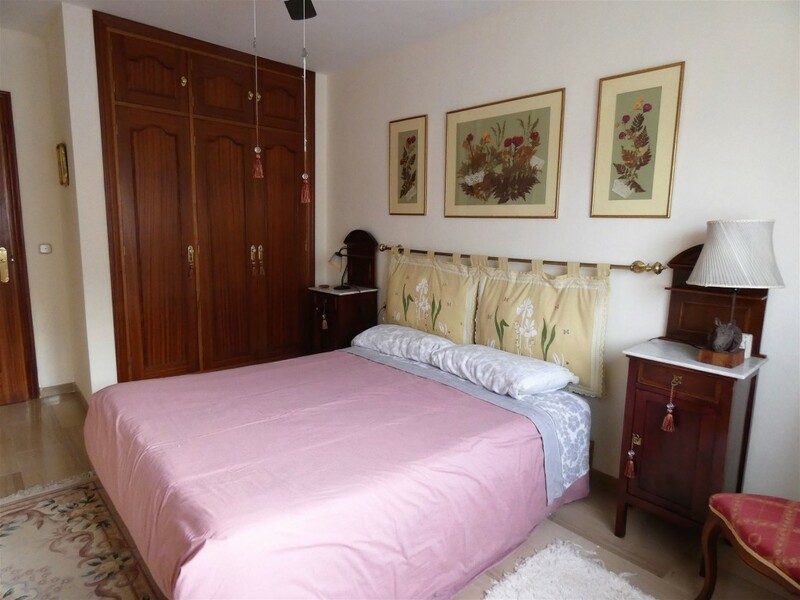 Top Floor: spacious master bedroom with ensuite shower and terrace, 3 bedrooms with one bathroom. 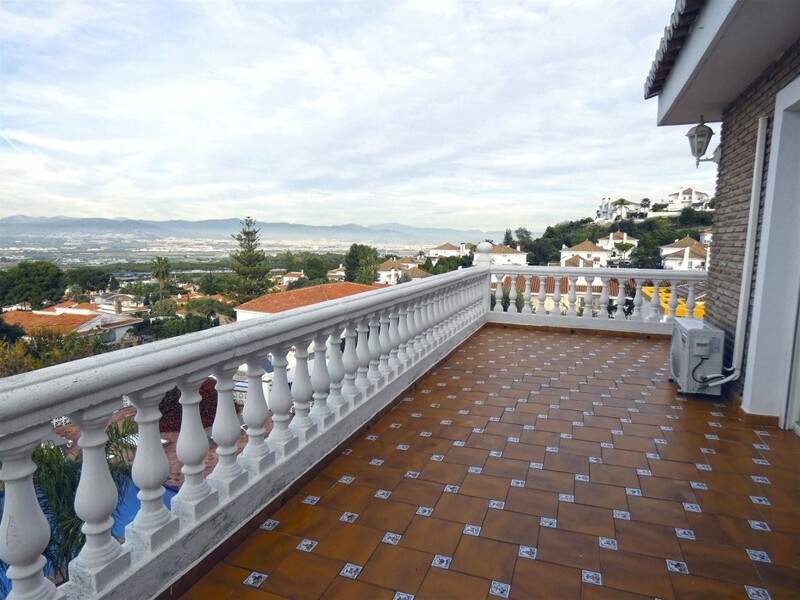 2 bedrooms have access to the terrace. 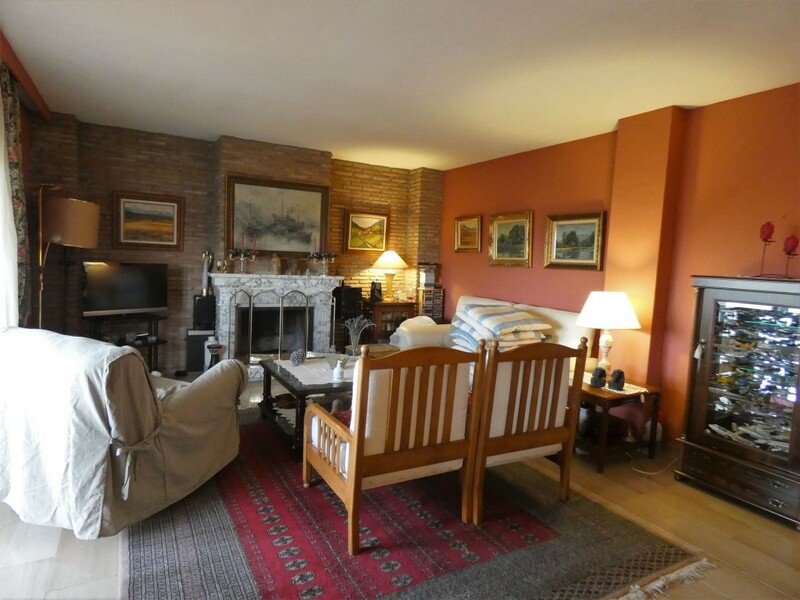 Basement: 143m² living room with log burner and open kitchen, one bedroom, large storage room, and office. 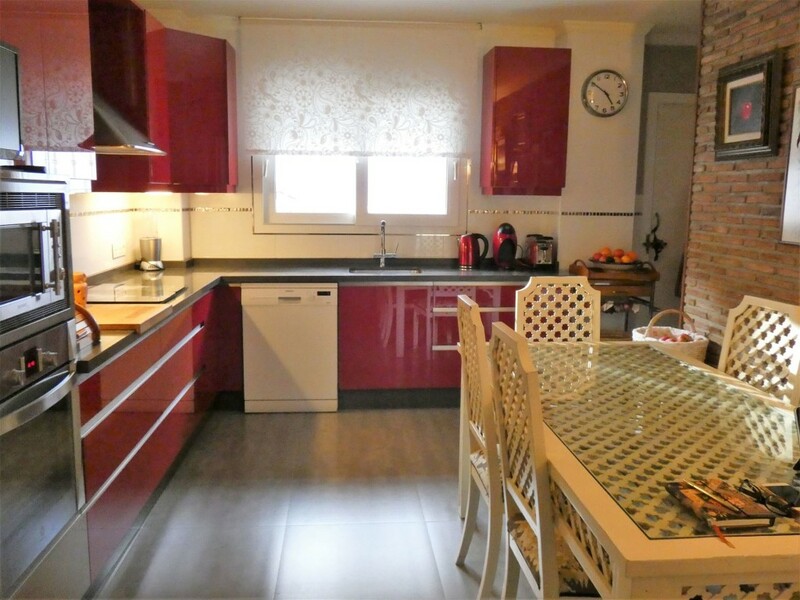 This large space could be converted in an independent apartment with private entrance. 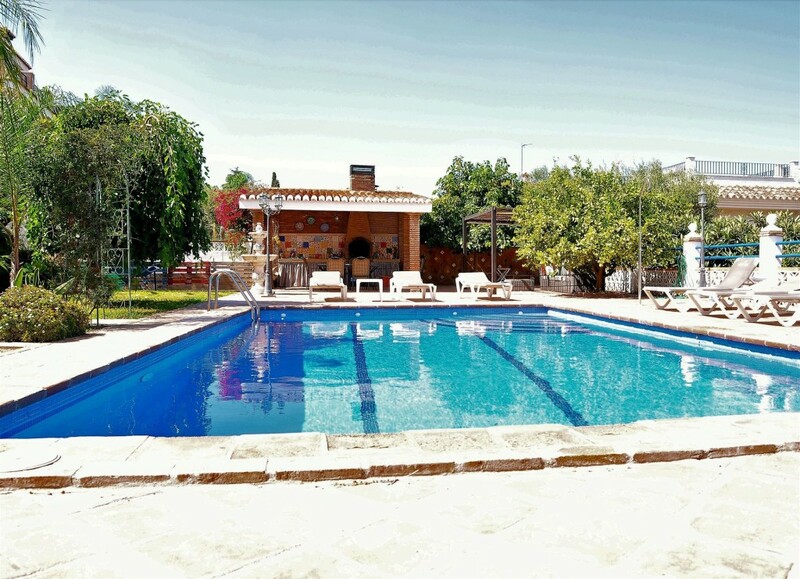 Direct access to the garden and pool. 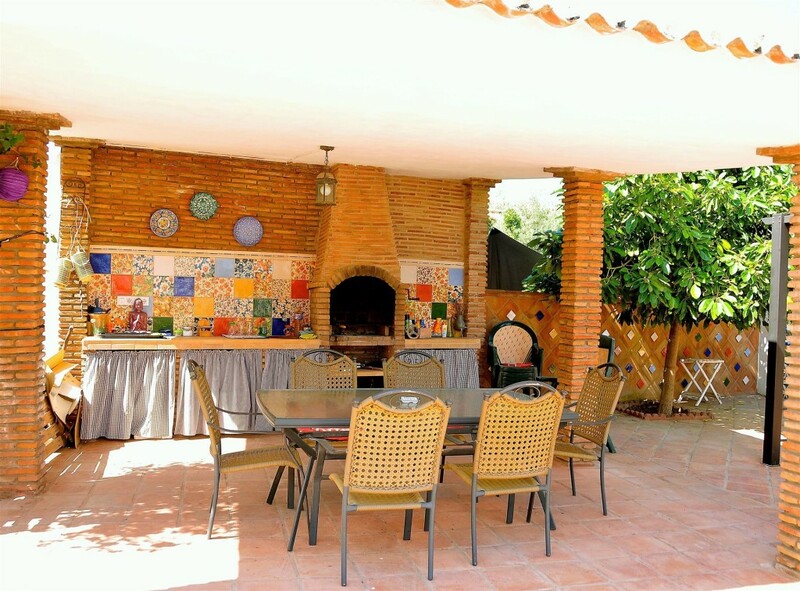 Outside is a nice covered barbecue area, saltwater swimming pool, garden and orchard. 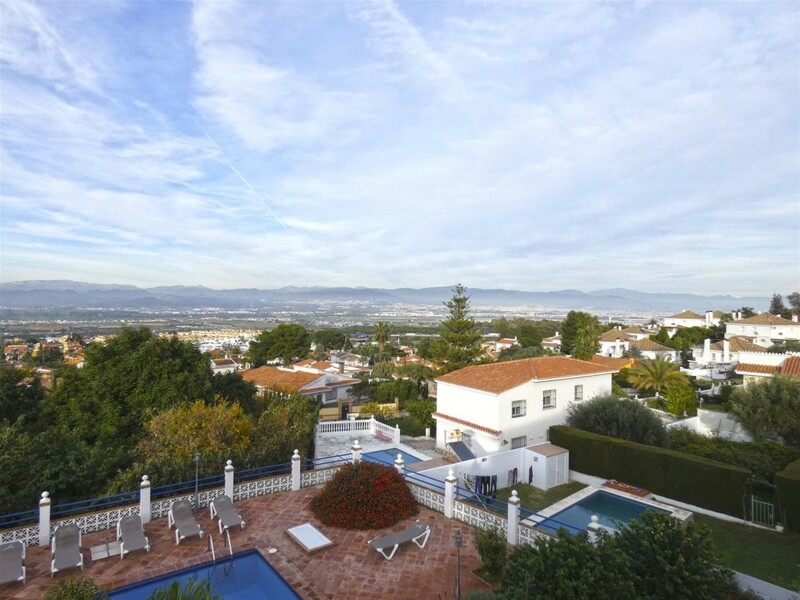 Very well-built house with incredible views of the Guadalhorce Valley. 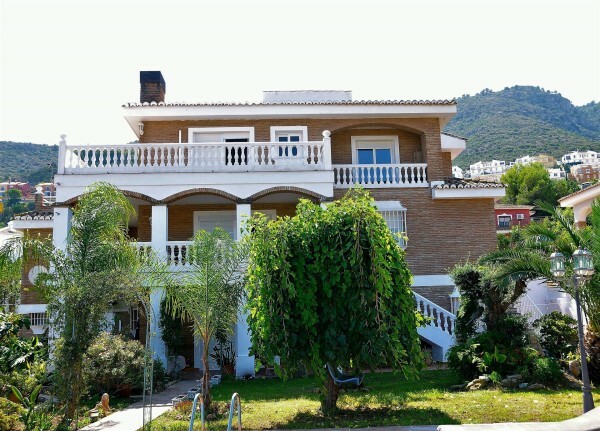 Nice and quiet area only 5 minutes from the town, 10 minutes to the main motorway for Málaga, Benalmádena, and the airport. Ideal for 2 families, or a B&B; lots of possibilities.